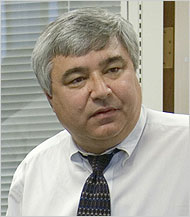 Pete Rouse, who had previously worked for Tom Daschle, joined Senator Obama's team as Chief of Staff in 2004. He has worked in the Senate since 1971. He is currently co-director of the Obama-Biden Transition Project. Clyde Williams 2012 Democratic candidate for U.S. House in the 13th Congressional District of New York.